Clifford James Geertz (/ɡɜːrts/ ( listen); August 23, 1926 – October 30, 2006) was an American anthropologist who is remembered mostly for his strong support for and influence on the practice of symbolic anthropology, and who was considered "for three decades...the single most influential cultural anthropologist in the United States." He served until his death as professor emeritus at the Institute for Advanced Study, Princeton. Geertz was born in San Francisco on August 23, 1926. After service in the US Navy in World War II (1943–45), Geertz received his B.A. in philosophy from Antioch College in 1950. After graduating from Antioch he attended Harvard University from which he graduated in 1956, as a student in the Department of Social Relations. This interdisciplinary program was led by Talcott Parsons, and Geertz worked with both Parsons and Clyde Kluckhohn. Geertz was trained as an anthropologist, and conducted his first long-term fieldwork, together with his wife, Hildred, in Java, which was funded by the Ford Foundation and MIT. He studied the religious life of a small, upcountry town for two-and-a-half years, living with a railroad laborer's family. After finishing his thesis, Geertz returned to Bali and Sumatra. He earned his Ph.D. in 1956 with a dissertation entitled Religion in Modjokuto: A Study of Ritual Belief In A Complex Society. He taught or held fellowships at a number of schools before joining the faculty of the anthropology department at the University of Chicago in 1960. In this period Geertz expanded his focus on Indonesia to include both Java and Bali and produced three books, including Religion of Java (1960), Agricultural Involution (1963), and Peddlers and Princes (also 1963). In the mid-1960s, he shifted course and began a new research project in Morocco that resulted in several publications, including Islam Observed (1968), which compared Indonesia and Morocco. In 1970, Geertz left Chicago to become professor of social science at the Institute for Advanced Study in Princeton, New Jersey from 1970 to 2000, then as emeritus professor. In 1973, he published The Interpretation of Cultures, which collected essays Geertz had published throughout the 1960s. 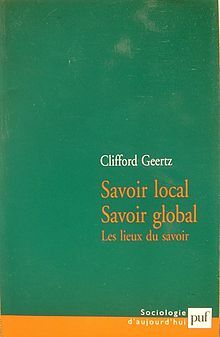 That became Geertz's best-known book and established him not just as an Indonesianist but also as an anthropological theorist. In 1974, he edited the anthology Myth, Symbol, Culture that contained papers by many important anthropologists on symbolic anthropology. Geertz produced ethnographic pieces in this period, such as Kinship in Bali (1975), Meaning and Order in Moroccan Society (1978, written collaboratively with Hildred Geertz and Lawrence Rosen) and Negara (1981). From the 1980s to his death, Geertz wrote more theoretical and essayistic pieces, including book reviews for the New York Review of Books. As a result, most of his books of the period are collections of essays, including Local Knowledge (1983), Available Light (2000) and Life Among The Anthros (published posthumously in 2010). He also produced the autobiographical After The Fact (1995) and Works and Lives (1988), a series of short essays on the stylistics of ethnography. Geertz received Honorary Doctorate Degrees from some fifteen colleges and universities, including Harvard University, the University of Chicago and the University of Cambridge. He was married first to the anthropologist Hildred Geertz. After their divorce, he married Karen Blu, also an anthropologist. 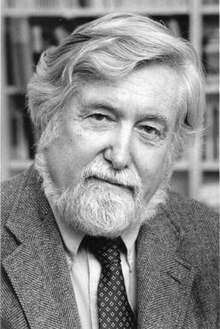 Clifford Geertz died of complications following heart surgery on October 30, 2006. Geertz conducted extensive ethnographical research in Southeast Asia and North Africa. This fieldwork was the basis of Geertz's famous analysis of the Balinese cockfight among others. He was the director of the multidisciplinary project Committee for the Comparative Studies of New Nations while he held a position in Chicago in the 1960s. He conducted fieldwork in Morocco as part of this project on "bazaars, mosques, olive growing and oral poetry". The ethnographic data for the famous essay on thick description was collected here. He contributed to social and cultural theory and is still influential in turning anthropology toward a concern with the frames of meaning within which various peoples live their lives. He reflected on the basic core notions of anthropology, such as culture and ethnography. At the time of his death, Geertz was working on the general question of ethnic diversity and its implications in the modern world. At the University of Chicago, Geertz became a champion of symbolic anthropology, a framework which gives prime attention to the role of symbols in constructing public meaning. In his seminal work The Interpretation of Cultures (1973), Geertz outlined culture as "a system of inherited conceptions expressed in symbolic forms by means of which men communicate, perpetuate, and develop their knowledge about and attitudes toward life." He was one of the earliest scholars to see that the insights provided by common language, philosophy and literary analysis could have major explanatory force in the social sciences. Geertz aimed to provide the social sciences with an understanding and appreciation of “thick description.” Geertz applied thick description to anthropological studies (specifically his own 'interpretive anthropology'), urging anthropologists to consider the limitations placed upon them by their own cultural cosmologies when attempting to offer insight into the cultures of other people. He produced theory that had implications for other social sciences; for example, Geertz asserted that culture was essentially semiotic in nature, and this theory has implications for comparative political sciences. In seeking to converse with subjects in foreign cultures and gain access to their conceptual world, this is the goal of the semiotic approach to culture. Cultural theory is not its own master; at the end of the day we must appreciate, that the generality “thick description” contrives to achieve, grows out of the delicacy of its distinctions, not the sweep of its abstraction. The essential task of theory-building here is not to codify abstract regularities, but to make thick description possible; not to generalize across cases, but to generalize within them. His often-cited essay "Deep Play: Notes on the Balinese Cockfight" is the classic example of thick description, a concept adopted from the British philosopher Gilbert Ryle. Thick description is an anthropological method of explaining with as much detail as possible the reason behind human actions. Many human actions can mean many different things, and Geertz insisted that the anthropologist needs to be aware of this. The work proved influential amongst historians, many of whom tried to use these ideas about the 'meaning' of cultural practice in the study of customs and traditions of the past. Geertz used the concept of thick description from Gilbert Ryle, which comes from ordinary language philosophy. He also used the concept of family resemblances into anthropology from the post-analytic philosophy of Ludwig Wittgenstein. He also introduced Alfred Schütz's "...distinctions among predecessors, consociates, contemporaries and successors, distinctions that have become commonplace in anthropology" in his wake. Geertz stressed how the links between "consociate-contemporary-predecessor-successor" derive from the "Umwelt - Mitwelt - Vorwelt - Folgewelt" formulation  of Schütz's phenomenology. Geertz's research and ideas had a strong influence on 20th century academia, including modern anthropology and communication studies, and for geographers, ecologists, political scientists, scholars of religion, historians, and other humanists. University of Miami Professor Daniel Pals wrote of Geertz in 1996, "His critics are few; his admirers legion. "Talal Asad attacked the dualism in Geertzian theory: the theory does not provide a bridge between external symbols and internal dispositions. He also pointed out the need for a more nuanced approach toward the historical background of certain concepts. Criticizing Geertz's theory of religion in general he pointed out a gap between 'cultural system' and 'social reality' when attempting to define the concept of religion in universal terms. Asad criticized Geertz for ascribing an authorizing discourse around conversations of comparative religion that, Asad argues, doesn’t really exist. Furthermore, Asad criticized Geertz for operating according to a Euro-Centric view of religion that places import on signs and symbols that may or may not carry through in other non Judeo-Christian religious cultures. 1957 Ritual and Social Change: A Javanese Example. American Anthropologist 59(1):32-54. 1959 Form and Variation in Balinese Village Structure. American Anthropologist 61:991-1012. 1959 The Javanese Village. In Local, Ethnic, and National Loyalties in Village Indonesia. Ed. G. William Skinner. pp. 34–41. New Haven: Southeast Asian Program, Yale University. 1960 Religion of Java. Glencoe: Free Press. 1961 The Rotating Credit Association: A "Middle Rung" in Development. Economic Development and Cultural Change 10:241-263. 1962 Studies in Peasant Life: Community and Society. In Biennial Review of Anthropology 1961. Ed. Bernard J. Siegal. pp. 1–41. Stanford: Stanford University Press. 1962 The Growth of Culture and the Evolution of Mind. In Theories of the Mind. Ed. J. Scher. pp. 713–740. New York: Free Press. 1963 Agricultural Involution: The Process of Agricultural Change in Indonesia. Berkeley: University of California Press. 1963 Peddlers and Princes: Social Change and Economic Modernization in Two Indonesian Towns. Chicago: University of Chicago Press. 1963 (editor) Old Societies and New States. New York: Free Press. 1963 The Integrative Revolution: Primordial Sentiments and Civil Politics in the New States. In Old Societies and New States. Ed. Clifford Geertz. pp. 105–157. Glencoe: Free Press. 1964 Ideology as a Cultural System. In Ideology and Discontent. Ed. David Apter. pp. 47–76. New York: Free Press. 1965 The Social History of an Indonesian Town. Cambridge: MIT Press. 1965 Modernization in a Muslim Society: The Indonesian Case, 201-211, in Robert O. Tilman (ed), Man, State, and Society in Contemporary South East Asia. London: Pall Mall. 1966 Person, Time, and Conduct in Bali: An Essay in Cultural Analysis. Southeast Asia Program, Cultural Report Series. New Haven: Yale University. 1966 Religion as a Cultural System. In Anthropological Approaches to the Study of Religion. Ed. Michael Banton. pp. 1–46. ASA Monographs, 3. London: Tavistock Publications. 1966 The Impact of the Concept of Culture on the Concept of Man. In New Views of the Nature of Man. Ed. J. Platt. pp. 93–118. Chicago: University of Chicago Press. 1967 Politics Past, Politics Preset: Some Notes on the Contribution of Anthropology to the Study of the New States. European Journal of Sociology 8(1):1-14. 1967 The Cerebral Savage: On the Work of Claude Lévi-Strauss. Encounter 48(4):25-32. 1967 Tihingan: A Balinese Village. In Villages in Indonesia. Ed. R. N. Koentjaraningrat. pp. 210–243. Ithaca and London: Cornell University Press. 1967 Under the Mosquito Net. New York Review of Books, September 14. 1968 Islam Observed: Religious Development in Morocco and Indonesia. Chicago: University of Chicago Press. 136 pp. 1968 Thinking as a Moral Act: Dimensions of Anthropological Fieldwork in the New States. Antioch Review 28(2):139-158. 1972 Religious Change and Social Order in Soeharto's Indonesia. Asia 27:62-84. 1972 The Wet and the Dry: Traditional Irrigation in Bali and Morocco. Human Ecology 1:34-39. 1972 Deep Play: Notes on the Balinese Cockfight. Daedalus 101(1 Winter). 1973 The Interpretation of Cultures: Selected Essays. New York: Basic. 1973 Thick Description: Toward an Interpretive Theory of Culture. In The Interpretation of Cultures: Selected Essays. Clifford Geertz. pp 3–30. New York: Basic Books. 1976 From the Native's Point of View. In Meaning in Anthropology. Eds. Keith H. Basso and Henry A. Selby. pp. 221–237. Albuquerque: University of New Mexico Press. 1977 Found in Translation: On the Social History of the Moral Imagination. Georgia Review 31(4 Winter):788-810. 1977 Curing, Sorcery, and Magic in a Javanese Town. In Culture, Disease, and Healing: Studies in Medical Anthropology. Ed. David Landy. pp. 146–153. New York: Macmillan Publishing. 1979 [with Hildred Geertz and Lawrence Rosen] Meaning and Order in Moroccan Society: Three Essays in Cultural Analysis. Cambridge: Cambridge University Press. See his own contribution on "Suq: The Bazaar Economy in Sefrou" (pp. 123–225). 1980 Negara: The Theatre State in Nineteenth-Century Bali. Princeton: Princeton University Press. 1983 Local Knowledge: Further Essays in Interpretive Anthropology. New York: Basic Books. 1983 Centers, Kings, and Charisma: Reflections on the Symbolics of Power. In Local Knowledge: Further Essays in Interpretive Anthropology. Clifford Geertz. pp. 121–146. New York: Basic Books. 1983 "From the Native's Point of View": On the Nature of Anthropological Knowledge. In Local Knowledge: Further Essays in Interpretive Anthropology. Clifford Geertz. pp. 55–70. New York: Basic Books. 1983 Notions of Primitive Thought: Dialogue with Clifford Geertz. In States of Mind. ed & comp Jonathan Miller. pp. 192–210. New York: Pantheon. 1984 Anti-Anti-Relativism. 1983 Distinguished Lecture. American Anthropologist 82:263-278. 1984 Culture and Social Change: The Indonesian Case. Man 19:511-532. 1986 The Uses of Diversity. In Tanner Lectures on Human Values, Vol. 7. Ed. Sterling M. McMurrin. pp. 251–275. Cambridge and Salt Lake City: Cambridge University Press and University of Utah Press. 1988 Works and Lives: The Anthropologist as Author. Stanford: Stanford University Press. "The World in a Text: How to Read Tristes Tropiques" (pp. 25–48). "Slide Show: Evans-Pritchard's African Transparencies" (pp. 49–72). "I-Witnessing: Malinowski's Children" (pp. 73–101). "Us/not-Us: Benedict's Travels" (pp. 102–128). 1989 Margaret Mead, 1901-1978. Biographical Memoirs 58:329-341. National Academy of Sciences. 1990 History and Anthropology. New Literary History 21(2 Winter):321-335. 1991 The Year of Living Culturally. New Republic, October 21, 30-36. 1992 "Local Knowledge" and Its Limits: Some Obiter Dicta. Yale Journal of Criticism 5(2):129-135. 1993 "Ethnic Conflict": Three Alternative Terms. Common Knowledge 2(3 Winter):54-65. 1994 Life on the Edge. [Review of Tsing, In the Realm of the Diamond Queen]. New York Review of Books 41(7 April ):3-4. 1995 After the Fact: Two Countries, Four Decades, One Anthropologist. [The Jerusalem-Harvard Lectures]. Cambridge and London: Harvard University Press. 1995 Culture War. [Review essay on Sahlins, How "Natives" Think and Obeyesekere, The Apotheosis of Captain Cook]. New York Review of Books 42(19 November 30):4-6. 1999 "'The pinch of destiny': Religion as Experience, Meaning, Identity, Power," Raritan 18(3 Winter): 1-19. 2000 Available Light: Anthropological Reflections on Philosophical Topics. Princeton: Princeton University Press. ^ Martin, Michael. Readings in the Philosophy of Social Science. p. 213. ISBN 0-262-13296-6. ^ Geertz, Clifford, Shweder, R. A., & Good, B. (2005). Clifford Geertz by his colleagues. Chicago: University of Chicago Press. ^ Geertz, Clifford (1956). Religion in Modjokuto: a study of ritual and belief in a complex society. Harvard. OCLC 421067853. ^ "Anthropologist Biographies - Geertz". Indiana.edu. 1926-08-23. Retrieved 2012-08-13. ^ Geertz, Clifford (1973). Thick Description: Towards an Interpretive Theory of Culture. New York: Basic Books. p. 5. ^ Gilbert Ryle, "The Thinking of Thoughts: What is 'Le Penseur' Doing?" Archived 2014-12-21 at the Wayback Machine Reprinted from 'University Lectures', no.18, 1968, by permission of the University of Saskatchewan. ^ Geertz, Clifford (1973). The Interpretation of Cultures. New York: Basic Books. p. 140. ^ "Clifford Geertz 1926 - 2006". Princeton, New Jersey: Institute for Advanced Study Press. 2006. ^ Frankenberry, Nancy K.; Hans H. Penner (1999). "Clifford Geertz's Long-Lasting Moods, Motivations, and Metaphysical Conceptions". 79. Upper Saddle River, New Jersey: The University of Chicago Press: 617–640. ISBN 0-13-158591-6. JSTOR 1206117. ^ a b Asad, Talal (1983). Anthropological Concepts of Religion: Reflections on Geertz. Man (N.S.) 18:237-59. ^ Asad, Talal. "The Construction of Religion as an Anthropological Category." Genealogies of religion : discipline and reasons of power in Christianity and Islam (1993). : 27-54. Geertz, C. (1963). Old societies and new States; the quest for modernity in Asia and Africa. [New York]: Free Press of Glencoe. Griffin, Em. (2012). A First Look At Communication. New York: McGraw-Hill. Alexander, J.C. - Smith, P. - Norton, M. eds. (2011). Interpreting Clifford Geertz: Cultural Investigation in the Social Sciences. New York: Palgrave Macmillan. Lloyd, Christopher (1993).The Structures of History. Blackwell, Oxford.